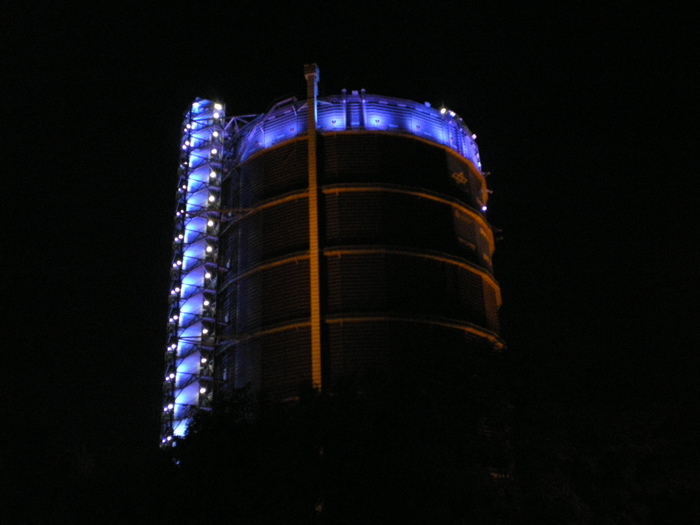 The Gasometer is a 117 meters high Gas-factory from the 1920thies in Oberhausen, in the heart of the Ruhr area in Germany. These days it is used as an exhibition space and a tourist attraction. 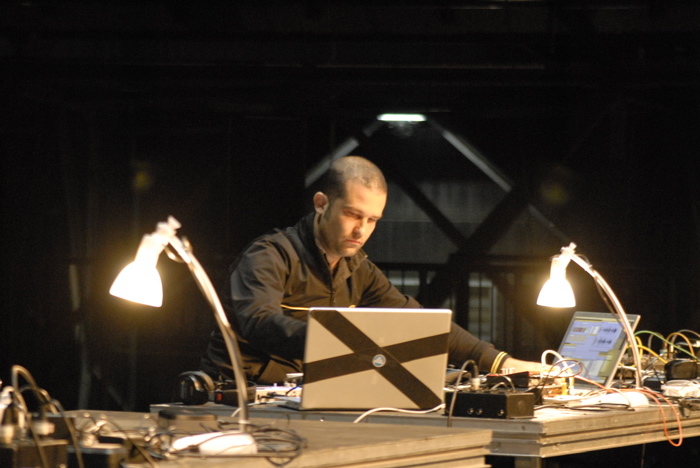 Composer Frank Niehusmann organized an international competition in cooperation with the DEGEM (German Association for Electroacoustic Music). The challenge was to write a composition especially for this space. 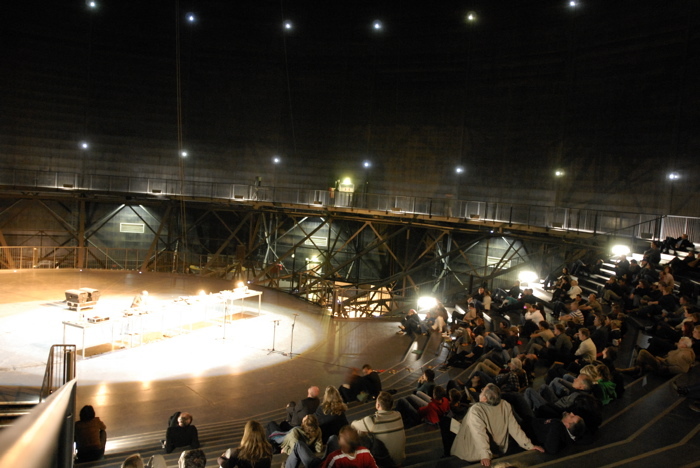 My piece “The Gasometer Universe” was selected to be performed September 15th and 22nd, along with pieces from Knut Aufermann, Hiroki Nishino, Jobina Tinnemans, Ge-Suk Yeo and Florian Zwißler. 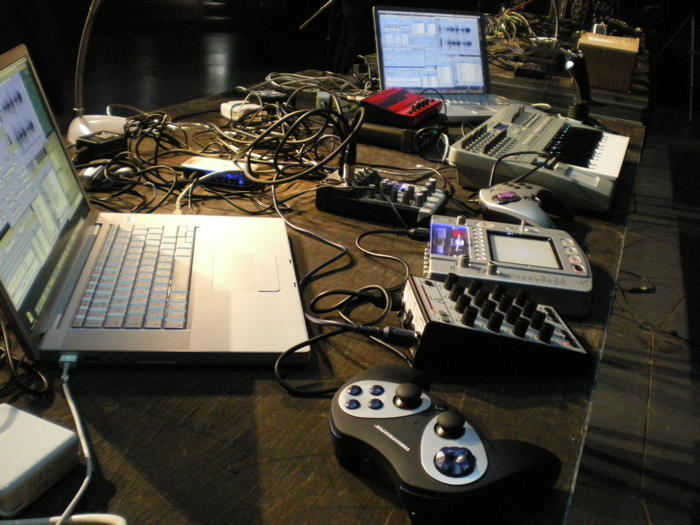 I performed the piece live using midi controllers, game controllers, sampling programs and algorithmic software such as STEIM’s LiSa, Algorithmic Toolbox, Max and Kontakt. 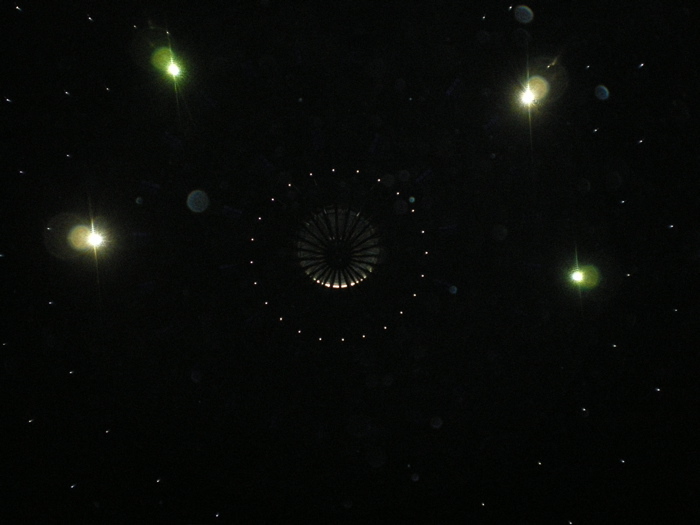 I imagined the inside of the Gasometer as a universe in itself. The reverb is spectacular thanks to the enormous size of the building, suggesting infinity since the sounds seem to go on for ever. In my composition I explored size and distance expressed in sound, inspired by concepts that scientists have developed to explain the origin of the universe: singularity and the Big Bang theory. 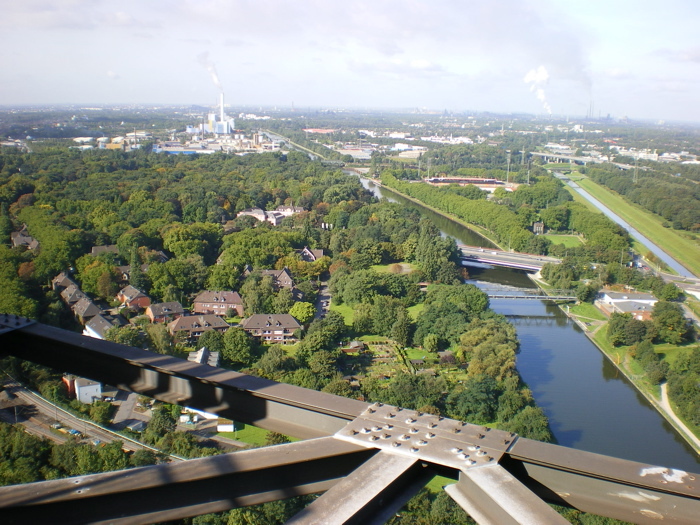 The sonic and acoustic qualities of the Gasometer gave the possibility to investigate extreme contrasts and large distances in sound. Also I wanted to work with an idea that has always fascinated me when composing: sounds or musical gestures that are made out of a lot of different tiny single sounds, each of them constantly and slightly shifting position, frequency or volume. The piece started with a “Sonic Big Bang”, a very conglomerate of all the sounds I used later in the piece, condensed as if it was a singularity exploding. After this I slowly unravel this “knot” of sounds, repeating different versions of it while taking out sounds and making the pauses between the different sounds longer, playing them gradually at a lower volume, as matter expanding in the void to form a universe of sound. Slowly the different sounds became recognizable. Throughout the piece there was a long development from extreme density to a very minimal presence, and from a very high volume to a very low volume. I arrived at a point where I wanted the audience to become aware of the lowest possible volume of sound where it is still possible to hear them, like the faint signals that we detect from galaxies millions of light-years away. Playing sounds at a very low volume in this space is something I was particularly interested in because of the reverb/echo character of the Gasometer, and the amazing sensibility that our hearing has. The sounds I used were mostly short, to play with the contrast short sound – long echo. I looked for a great diversity in sounds to have the ability to explore different atmospheres, they are the atoms that formed the Gasometer Universe.